Whether you are working on a construction site or you simply need to add usable space to property you work on, modular buildings are a great solution. In addition to being easy to set up, cost efficient and low impact on your environment, they are convenient and easy to customize. Knowing what type of metal building to order is the first step to getting the extra space you need up and running. A modular building allows you to get the structure you need faster and cheaper. You can get the extra space you need, faster when you choose modular building panels. What will you be using your structure for? You will need to consider different options if you need a place to store farm equipment or work on projects than if you need a building to house security guards or host large meetings. Once you have determined the purpose of your metal buildings by Panel Built, you can figure out what size of a structure you need. We offer different styles and sizes including structures designed to hold large congregations for church meetings, metal barns, guard shacks, modular clean rooms and modular office structures. Industrial modular buildings come in a variety of sizes. From small, single guard shacks to larger barn or church size structures. Look at the free space you have to place your building and determine the largest size that will fit on that empty space. Next, consider what you will be using your Panel Built metal building for. Is the space you have available able to hold the type of structure you need? Do you need the largest size, or would something smaller be sufficient? No matter what size you choose, our team of experts can create your unit quickly and have it shipped out and ready to be installed quickly. Some of our guard shacks are guaranteed ready to be shipped within three days. Once you decide what size structure will best suit your needs, you will need to know what additional features you need and/or are available for the type and size of unit you choose. 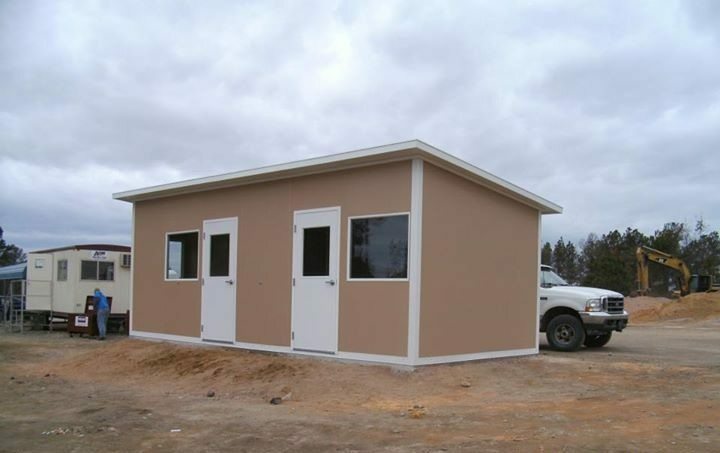 One of the benefits of ordering prefabricated modular buildings is that the buildings are easy to customize and arrange as you need them. You will need to know what type of features you need with your structure. Man of the modular building systems can be equipped with heating and cooling system, electrical outlets, additional counter space, and windows. You can even customize the style and size or doors you want on your building. Current custom options include half glass/half metal doors, sliding windows, roll up doors, air/heating units, additional shelving, large windows, bullet proof glass and gutters from the roof. At Panel Built we offer a variety of designs, styles and sizes of metal structures. We also work hard to make sure you can customize your unit to include the basics so that your structure is ready to use as soon as it arrives. Another factor to consider is how much money you have or want to spend. Metal building prices are usually much cheaper than traditional building material. In particular, purchasing metal modular buildings is a good investment because we are able to construct the pieces of your unit offsite. This saves you time and manpower in addition to loss of work due to construction. While our units are usually more affordable than building a traditional structure, in regards to time and funds required, there are different price ranges among the units we have available. You can contact our customer service agents at any time to get a price quote on you project. One of the best things about ordering a prefabricated structure is that most of the work is already done for you. The modular buildings for sale feature pieces that are cut from a mold. This allows us to create a lot of the same pieces at one time, reducing your cost. In addition, purchasing a metal structure in this way means your building won’t be delayed due to weather problems. Because your building is mostly constructed inside a factory, we can work rain or shine so you can get back to work as quickly as possible. 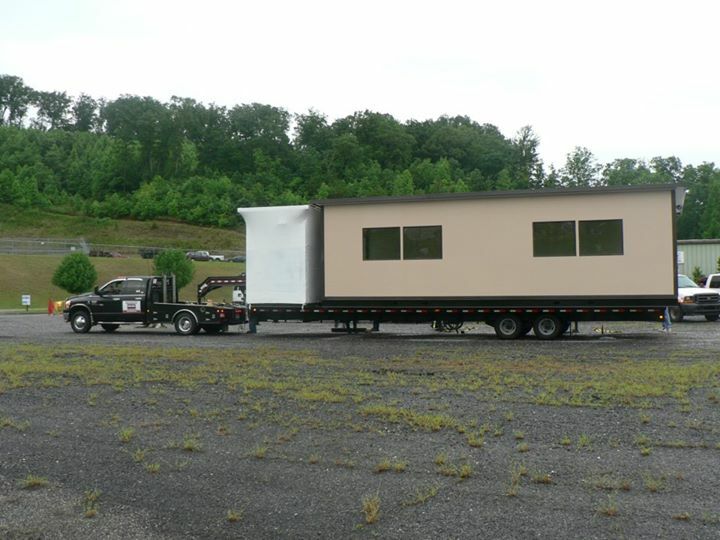 Our smaller units, like our prefabricated guard shacks, arrive at your property already constructed. Once your building arrives, it simply needs to be installed and it’s ready to use. Larger buildings. Such as prefabricated barns and church buildings, will come unassembled for ease of transportation. However, the building will come ready to assemble and include easy to read instructions. You can contact our technical support at any time with questions. If you prefer we can also supply workers to help assemble your structure for you. For more information on the type of prefabricated building we offer and options for customizing your prefabricated unit, contact our customer service agents at 800-636-3873. You can also look through our online catalog to view some of the products we offer. For a more comprehensive look at our products contact us via phone or through our website.